He's my very best friend, I'm glad that I get to be with him and see him every day! 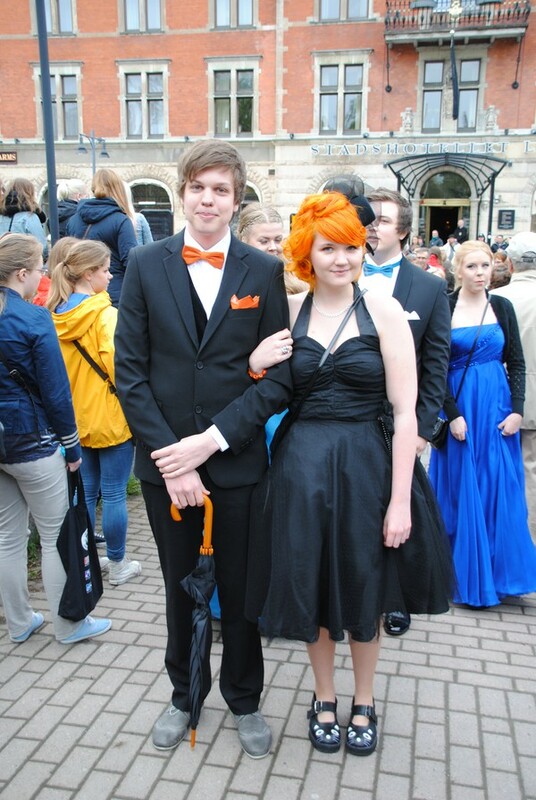 I LOVE that his bow-tie and hankerchief match your hair colour. That's super adorable! I guess we also look kind of awkward! We're long distance(US-UK), and I only see him a few times a year, but I truly love this man. Selien en Stef, together for 6 years & 6 months already! One in the sea. O. Me and my girlfriend :) She sings to me in the car while she drives.